After over a year of testing for the best qualities of excellent color, RELIABILITY and uniform gloss coverage we have now released the PCK3HD inkset. 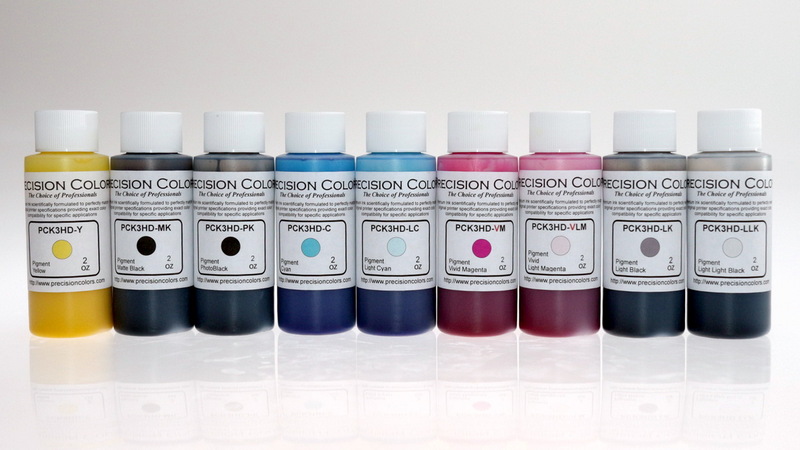 This inkset is unlike most aftermarket pigment ink in that it provides high levels of uniform gloss even on darker shades. Furthermore, the blacks have been selected to provide very good linearity and neutrality. There is no need to preflush the lines to use the PCK3HD inks. These inks are compatible with OEM inks within the printer ink lines.